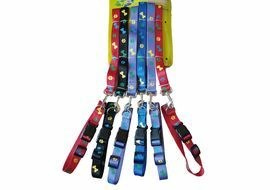 Canine as a company specializes in manufacturing, supplying, exporting and wholesaling a best quality range of paws printed collar set. 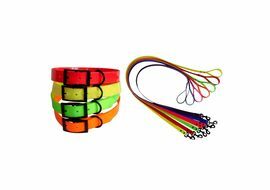 Driven by values and principles of ethical business practices and transparent dealings, the company has been able to take their range of products to a wide range of customers across different parts of India. 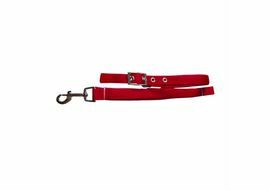 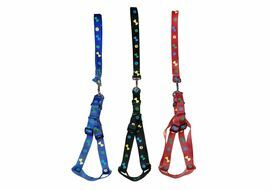 Uptown and chic colour these collar and leash sets features vibrant colours and fun designs in the imagery of paw marks. 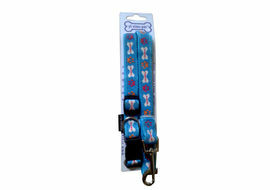 This collar and leash sets are made of 100% dye-sublimated durable polyester, colourfast and machine washable. 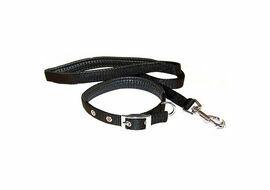 The designs are printed with a special heat transfer process onto a heavy braid.